Boost Your Health cover by Self-Financing! There are the so-called ‘traditional’ health insurance plans, commonly known as ‘medi-claim’ policies across not only general insurance companies, life insurers are also offering health insurance covers. People with permanent jobs are covered by their employers. The self-employed usually opt for an annual health insurance plan. But, they mainly cover hospitalization expenses provided it is for at least 24 hours. The expense for hospital bed, nursing, surgeon’s fees, consultant doctor’s fees, cost of blood, oxygen and operation theater charges are the usual inclusions. However, such coverage of health plans is restricted to only a handful of illnesses, most plans now come with sub-limits and usually do not cover pre-existing diseases or complications arising out from them for the first four years of the policy. Besides, claims for specific ailments may not be allowed in the first or second year. Despite ‘comprehensive coverage’ whatever name-called by all insurance companies, they may not be for your sole support. Also Read :Common Exclusion Clauses in Health Insurance! It makes sense to craft a plan in advance for medical expenses which insurance companies usually do not bear such as dental care, non-allopathic medicines, congenital diseases, all expenses arising out from AIDS, cosmetic, aesthetic, use of intoxicating drugs, alcohol and for certain diseases such as hernia, piles and cataract, some companies offer limited coverage. With rising health maintenance costs, at times, the medi-claim cover is not enough to take care of the entire expenditure. Hence, in most cases, one is forced to supplement the cost from one’s own sources. Just like you create a fund for other life goals, the same could be done for health cover. Also Read : Read the fine print before taking an all inclusive Health Insurance! Whilst creating a fund for health care beyond the hospitalization covers, you need to have first quantified what quality of hospitalization you are looking at, as people’s needs vary. Then, one can look at saving something on a monthly basis to meet the medical needs over the period of time. As the rule of thumb, one should keep four to six months’ regular expenses in an emergency fund. The prime objective of such a fund would be liquidity, and not maximization of returns. Money market fund is one such vehicle which meets the twin requirements of liquidity and safety, in addition to tax- efficient returns. If one is young, s/he can even use market-linked avenues to try and build a large corpus. Given that their medical needs are not so urgent, those below 40 years of age should go for investments in equity through systematic plans. Since most health insurance companies require a medical-check up for those above 45, and diseases also start showing upwards at this age, you need to shell out more as medical needs are more imminent. 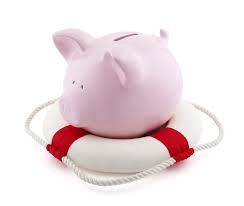 Evaluate whether you need to accelerate your emergency fund. People should invest 50 percent of their investments instruments, such as balanced funds, to meet any nearer duration contingency and another 50 percent in equity for any requirement over the longer horizon. As one approaches 45, s/he should look at revamping the fund and at putting away 15-20 percent of saving into this fund. It is quite possible that the fund has depleted during the course of years. Also Read :How to get prepared for Emergency Fund? We recommend people of all age groups (as soon as they start earning), to create a corpus by self-financing through monthly saving for such a medical exigency. Don’t bank on health plans alone. It is prudent to set aside funds for meeting expenses that may not be covered by your insurance policy. Not investing in equities for the long term?